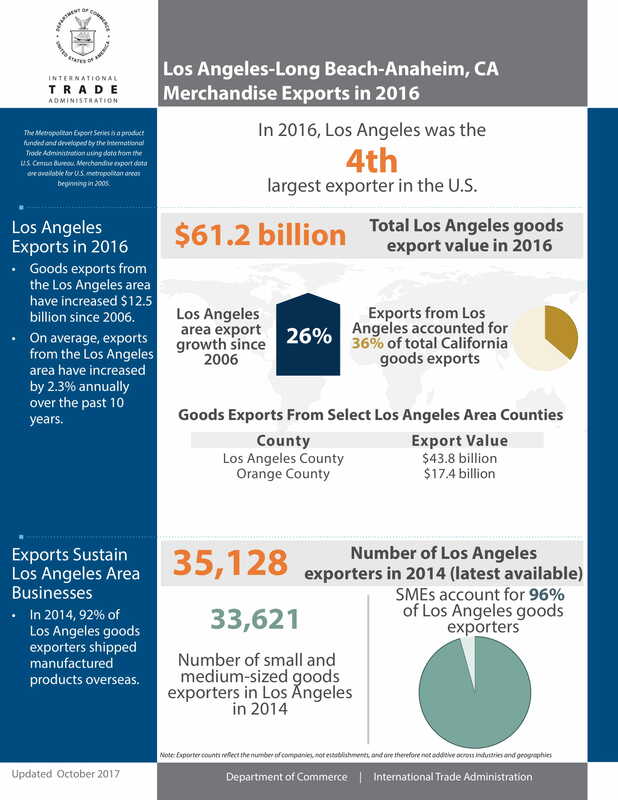 Total Exports from Los Angeles Customs District | Propel L.A. 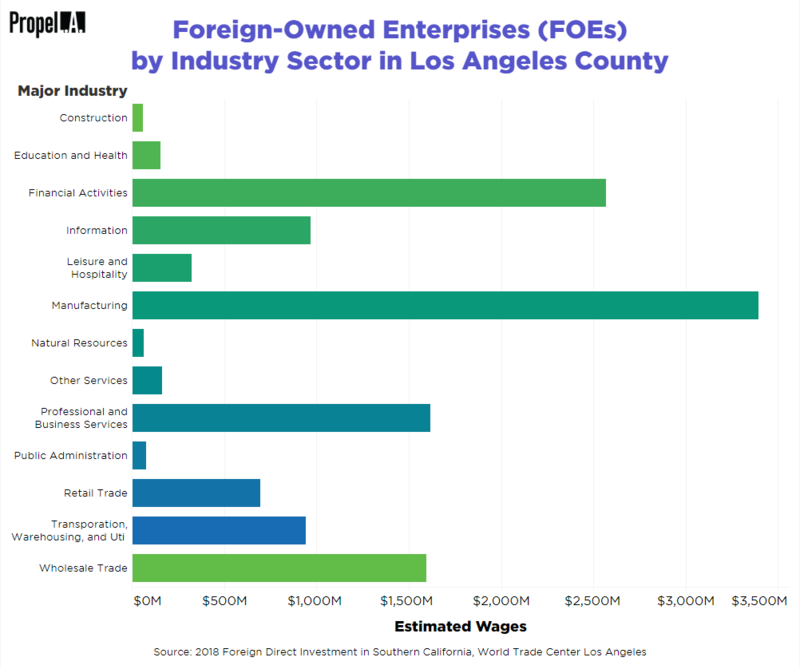 In general, total exports in Los Angeles Custom District has increased throughout time. Domestic exports make up about 80 to 90% of total exports in each year. 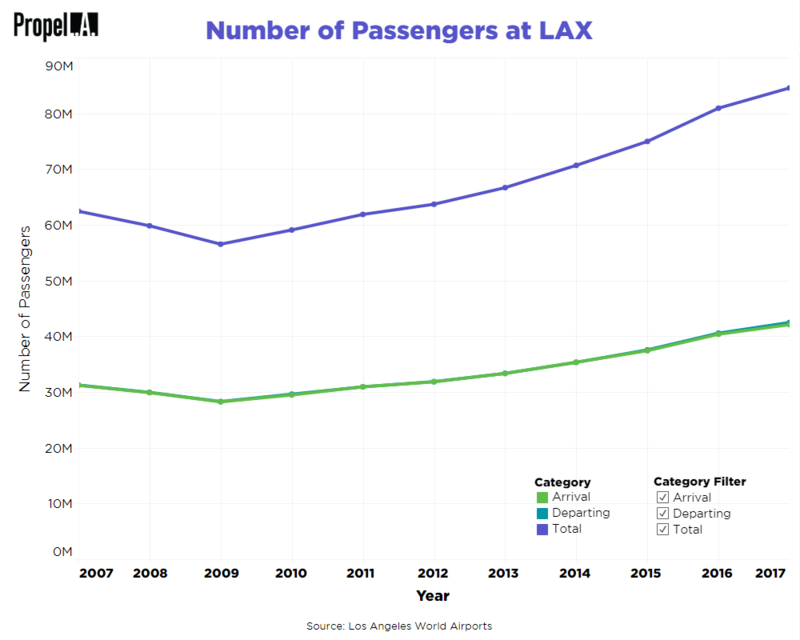 Note: Year 2018 only contains data from January 1st to October 31st as of December 14, 2018.